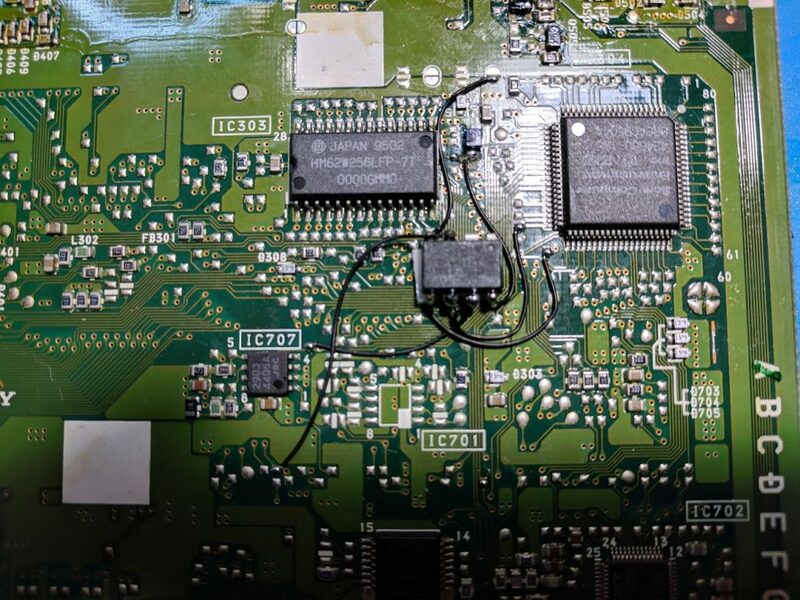 The PU-7 was the very first PlayStation 1 board that was released. It is found on all Japanese SCPH-1000’s, along with some SCPH-1001’s, SCPH-1002’s, SCPH-3000’s, and SCPH-3500’s. This board is unique because it has the pins for S-Video video output along with the RCA video output ports. The S-Video port was only available on the Japanese SCPH-1000, but the pins are still on other systems with the PU-7 board. 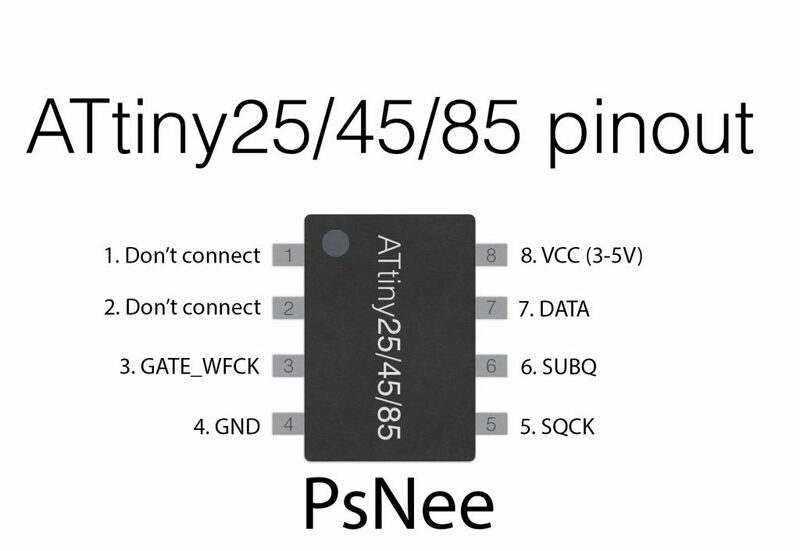 For more information about PsNee chips click here, for more information about PS1 modchips click here. Above is the diagram for the PU-7. All of the points being soldered to are pretty straightforward pads. They are all located on the bottom side of the board. The PsNee is a great chip for the PU-7 because it supports anti-modchip games. The Mayumi V4 isn’t compatible with the PU-7 at all, and the MM3 doesn’t support stealth mode with the PU-7. Here are some tips I have for you when you are soldering your chip into the PU-7. You don’t need to connect pins one and two of the ATtinyX5 chip. Just desolder the wire. 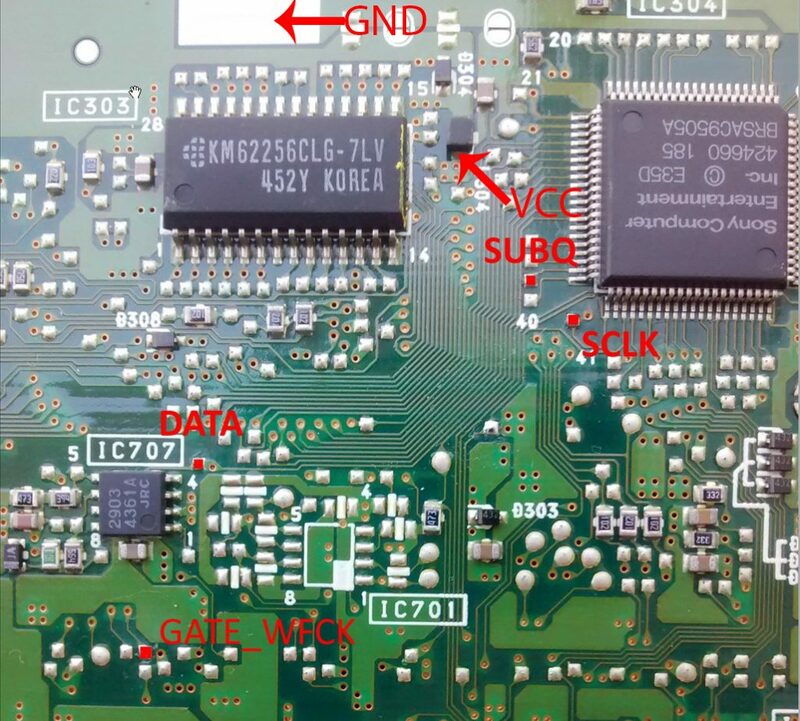 Use a multimeter to probe around for alternative VCC and GND points closer to where you position your chip for a cleaner installation. Try to position your chip towards the middle of where all the wires need to go, to minimize wire length.